TSHA offers skill-building workshops for interpreters at least once a year. 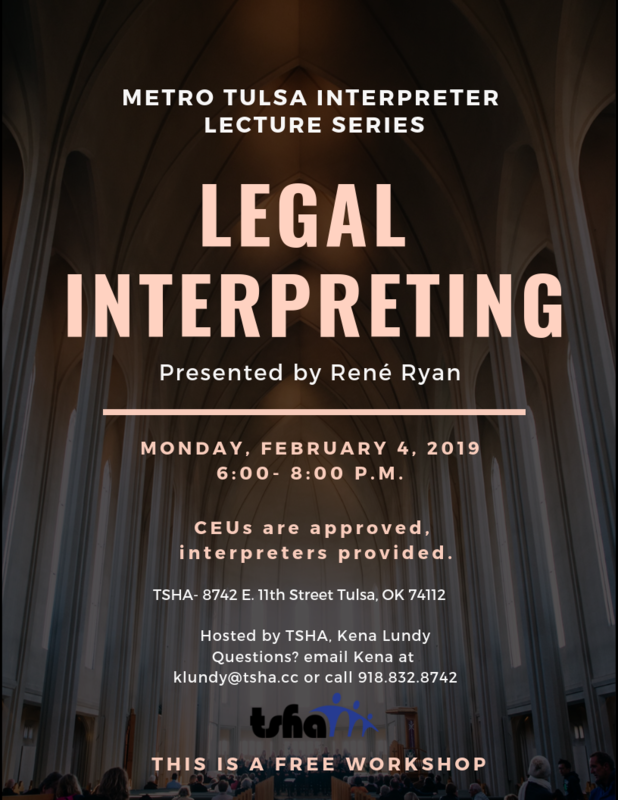 These educational opportunities are available for professional interpreters as they work to satisfy their Certified Educational Units (CEUs) as required by the Registry of Interpreters for the Deaf (RID) and the Oklahoma’s Quality Assurance Screening Test (QAST). Topics vary according to interest. Information for the next workshop will be updated as it becomes available. If you have a recommendation for a workshop that will benefit interpreters, contact Diana Emerson at 918.832.8742 or demerson@tsha.cc.